After a almost three week home confinement because health issues (first my kid and then me) it’s great to take a travel through some hardware stores spread through the city. Yesterday was raining and today was sunny, so was a perfect day to walk. Here’s what I bought. 6 mm two flute end mill. The size I most use. I ruin mine when it fell from my table; a small nick in some edge and say good bay to the good finish (I tried to resharpen it by hand… impossible). 2 mm two flute end mill. 3 mm two flute end mill. 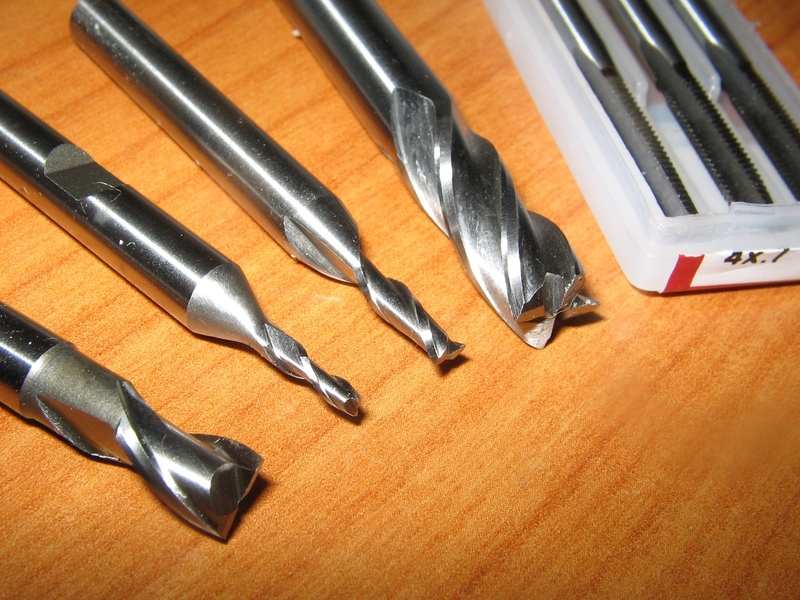 8 mm four flute end mill. As I understand two flute end mills works better for aluminum, but I use this size only for face/side milling and finishing, not for roughing. 4mm tap set. I have a set with one 4mm tap. But you always end up requiring the three set. Great Indian quality for the price. Though usually I bought on eBay from sellers like NorthbayCuttingTools (great seller btw), there’s nothing as to look, touch and bought.